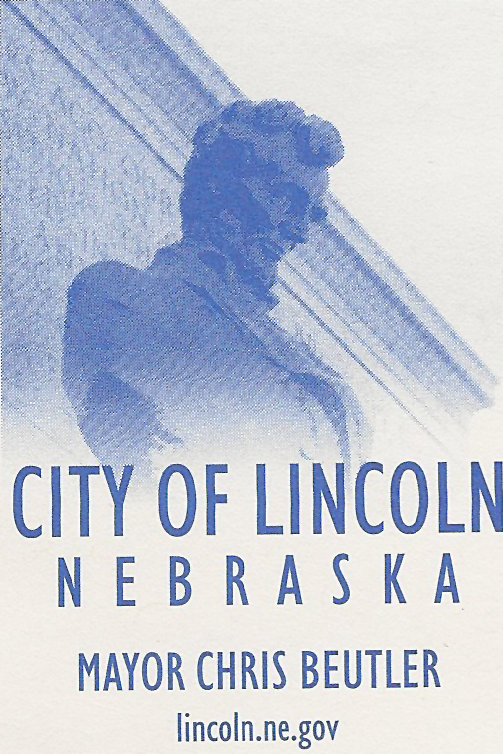 Last week Schrock Innovations received a letter from the City of Lincoln regarding our support of America Recycles Day. Each year students and businesses across Lincoln pledge to commit themselves to recycle more in the coming year. Each pledge is placed in a box and a drawing is conducted. I’m writing to express our sincere appreciation to you for your support of America Recycles Day and donating one of your computers for our Community Grand Prize Drawing. Your donation of the computer provided a valuable incentive for people to take the time to complete a pledge to increase their recycling efforts or buy recycled products. This year we received over 1,900 pledges from Lincoln and Lancaster County residents to step up their recycling efforts. I don’t believe this would have been possible without your support. I hope you found your involvement in the America Recycles Day campaign beneficial. Best wishes to you and your family during this holiday season. I hope that the New Year brings much happiness to you and your family. Good job supporting a worthy cause. I agree that there would not be nearly as many pledges without the great prize that you have generously donated. Your generosity is admirable. You richly deserve the success that comes your way, Thor. All the very best for 2010, and may you and your family have a peacegul and abundant year. Thanks for the fine example you are setting for the rest of us. Job well done. That is a magnificent donation for a very worthy cause, and I am glad that such actions are recognized and thanked for. Best wishes for a good new year to you too. You richly deserve the success that comes your way, Thor. All the very best for 2010, and may you and your family have a peacegul and abundant year. I agree that there would not be nearly as many pledges without the great prize that you have generously donated. Good job on on helping with such a noble cause. Recycling is a great thing to support and your donation has brought many pledges. Good to see that you support such a valuable cause, but, I am really skeptical about the impact of such a campaign. Writing pledges and such token gestures generally last only for a day..
Thor, I hear that you take parts from old computers and resell them to customers. That it is part of your recycling theory. @ Carolyn, yes that is correct in some cases. Some of the computers that are recycled in our service center have parts that can not be purchased anymore. When we are able to test and inventory these parts, it allows us to provide services to our customers that they can not receive anywhere else. Additionally, we do not charge anything to recycle computer towers, so the harvest and resale of used equipment in select circumstances helps underwrite the cost of our recycling program.